- 'James 10' is printed on the back of the shirt. - The club's name is printed on the back of neck. - There is a tag on the bottom left front of the shirt which has the club's initials on it. - On the inside of the collar is the club's motto "Daghe Múnegu (Go Monaco)". 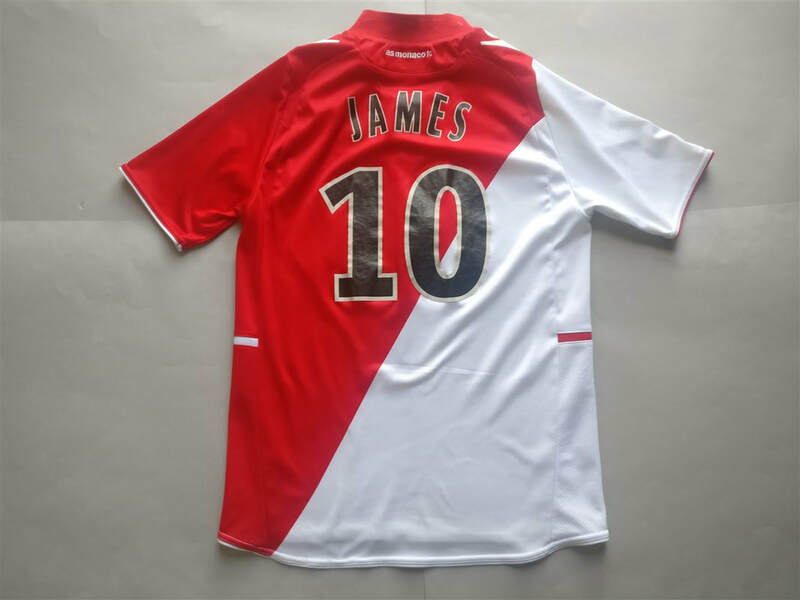 I bought this shirt as I was a big fan of James Rodriguez at the time. 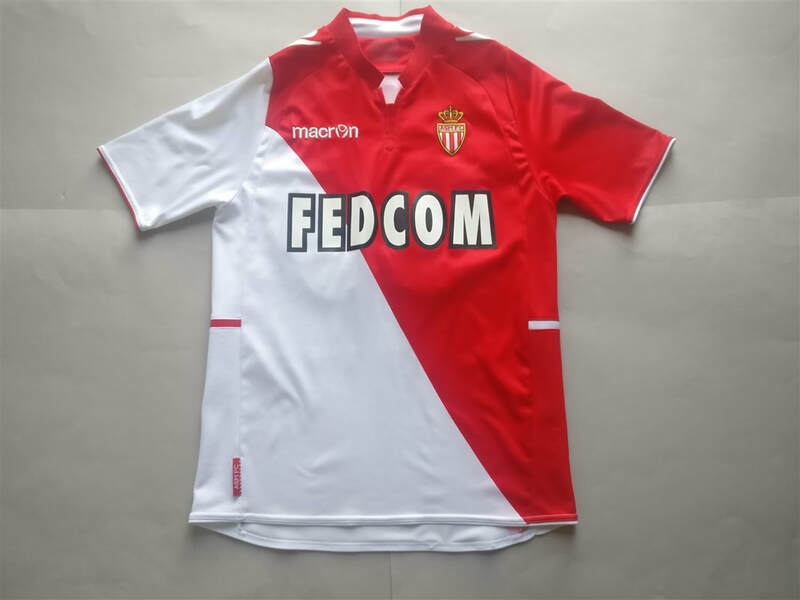 I also have somewhat of a soft spot for AS Monaco also, ever since they knocked us out of the Champions League. I like the shirt design as the typically half and half style has a slightly different approach. This was also my first Macron shirt, a foresight into the quality shirt designing that they will continue to provide. In 1960, Monaco's first iconic coach, Lucien Leduc, led the club to its first professional trophy, the Coupe de France, beating Saint-Étienne 4–2 in extra time. This initial success was bettered in the following year with the club winning the French Championship for the first time in its history, qualifying for the European Cup. Leduc subsequently led the club to its first League and Cup Double in 1963. Upon Leduc's departure in 1963, Monaco endured a barren run, entrenched in the middle half of the league for the best part of the next decade and alternating between the first and second divisions after 1963. In 1975, Jean-Louis Campora, son of former president Charles Campora, became chairman of the club. In his second season, he brought back Leduc, who immediately won the club promotion to the first division and won them the championship the following year in 1978.